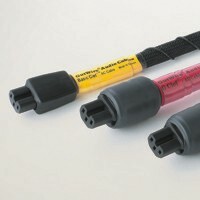 Our power cable conductors are made of high purity oxygen-free copper. Noise floor and background noise are to be reduced to a minimum by utilizing multiple shielding. The lower the noise floor, the clearer you can get to the essence of music. 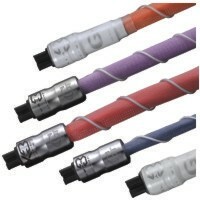 Multiple shielding is used to reject most of the EMI and RFI. 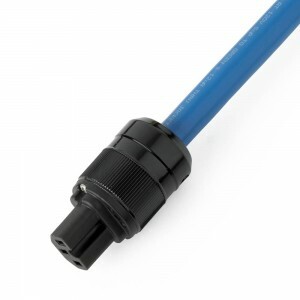 Together with our discrete shield grounding system, our power cable lets audiophiles choose the grounding method of the outer shield-- floating or grounded. The shield grounding connects the outer shielding to the equipment chassis through the alligator clip (which is also made of copper). During our extensive listening tests, we concluded that different systems (different components in the system!) behave distinctively when the outer shielding is being floated or grounded. Experience yourself the significance of using shield grounding in your system!! !